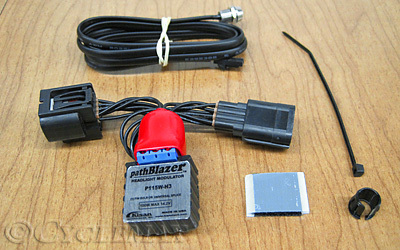 P115W-H3-GL8 comes with a detachable daylight sensor, which simply plugs into the pathBlazer. The da ylight sensor functions as a switch; it stops modulation when it cannot see enough daylight. Since the internal circuitry is controlled by a microprocessor, it allows for customizable features. Installation does not require any special tools. Everything needed to complete the job is in the product package. Follow the steps described in the Installation Manual enclosed in the product package.